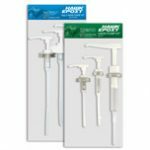 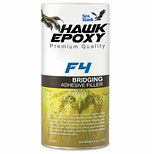 F4 Bridging Adhesive Filler is part of the Hawk Epoxy system. 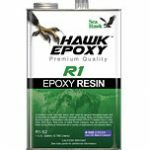 This state-of-the-art epoxy system is for building and repairing boats, planes, surfboards, canoes, and many other substrates. 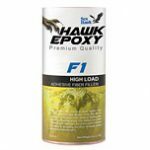 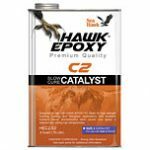 There are also a multitude of home construction and repair projects perfectly suited for Hawk Epoxy.